Governments, owners and developers nationwide are demanding greener buildings: They recognize the importance of making the environmental impact of our products both visible and comparable. The Environmental Product Declaration (EPD) is an important tool to achieve this. HPC-09 v6 helps improving Concrete Slab EPD Classifications: Read on to find out how! PCR: Product Category Rules. LCA: Life Cycle Assessment. EPD: Environmental Product Declaration. 3.Party: Information is 3. Party Verified. Highlighting the Importance of Proper Bed Covering Procedures. HPC-09 v6 's Calibration Technology and Accurate Predictions of necessary Pouring Temperature, Bed Heat (if used) and Ambient Temprature is the key to achive these savings! As we say: Predictability is Everything! The HPC-09 v6 Prediction Engine makes it possible to Predict the Exact Amount of Bed Heat that is needed for a Curing Scenario. The amount of savings that can be achieved varies with the climate, but for Nordic Countries a savings of 75% (and even higher) can be achieved. This reduces the Energy Consumption in the Manufacturing (A3) Stage. For more information see HPC-09 v6 - Bed Heat Technology. We often see that Plants uses more Cement than necessary to meet the Curing Deadlines. After performing a Calibration on a Concrete Mix, we can estimate the Minimum amount of Cement needed to Meet Curing Deadlines and still satisfy the Quality Specifications. The associated Reduction in Carbon Footprint may be substantial. 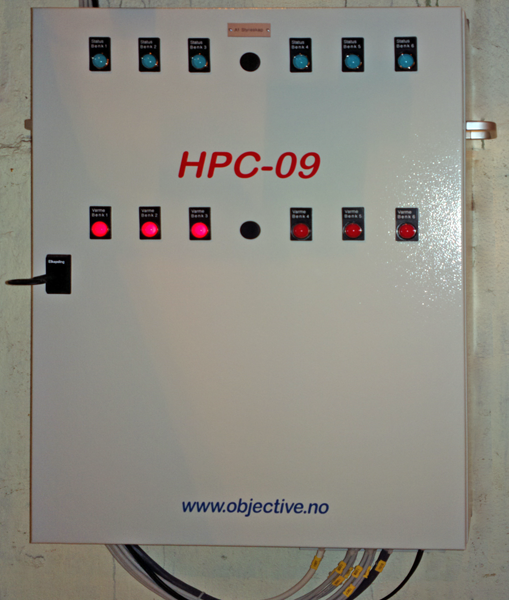 When Bed Heat is not used, HPC-09 v6 will Predict the Minimum Pouring Temperature to meet a Curing Deadline. This Prediction is performed in 3 stages throughout the Casting and Curing phases. Lowering the Pouring Temperature with e.g. 2 degrees centigrade, Reduces Energy Consumption considerably during a year. The importance of Ambient Temperature for the success of curing is often over-estimated. Proper Bed Covering Procedures and Preventing unnecessary Draft is more important! HPC-09 v6 Predicts the Ambient Temperature during Curing, and Operators may perform what-if analysis of the Effect of the Ambient Temperature on Curing Time. Using this Planning Tool, we have been able to lower the Ambient Temperature with 4-5 degrees centigrade during cold periods: Energy Consumption is thereby Reduced considerably. HPC-09 v6 Documents the effects of improper Humidity during the Curing Phase, and as such Encourages Procedures that permits Reduction of both Pouring and Ambient Temperature. "The advancement of PCRs and EPDs is one of the most significant areas of disclosure that we can envision for our industry"
Phil Williams, Vice President, Sustainability and Technical Systems, Webcor Builders. "We are pleased to be the first concrete supplier in the U.S. to publish externally verified EPDs." "Owners and developers on the west coast are demanding greener buildings." "Environmental measures are increasingly becoming key performance indicators, just as compressive strength of concrete is today." Jeff Davis, Vice President and General Manager of Central Concrete. "Importantly, an EPD is not just a green claim or a promise. EPDs reveal information usually considered confidential by companies. They provide detailed product information in a consistent way, certified to a public international standard, and verified by a credible third party. EPDs go beyond labels and claims and provide complete transparency."